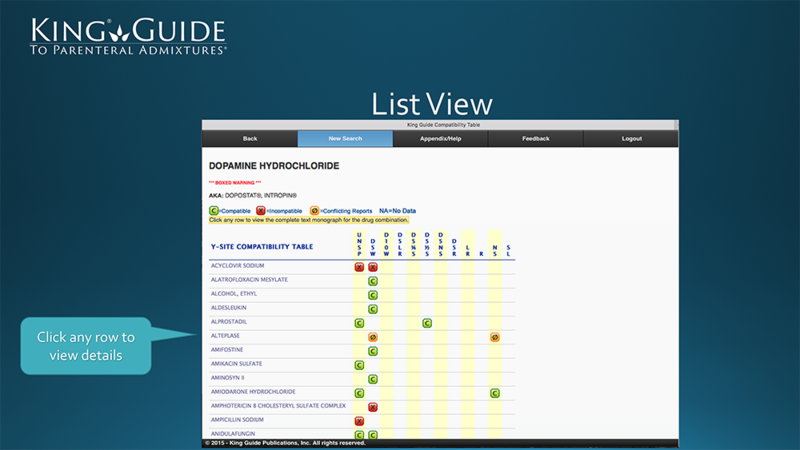 The online edition started as a direct replacement for the original loose-leaf King Guide. 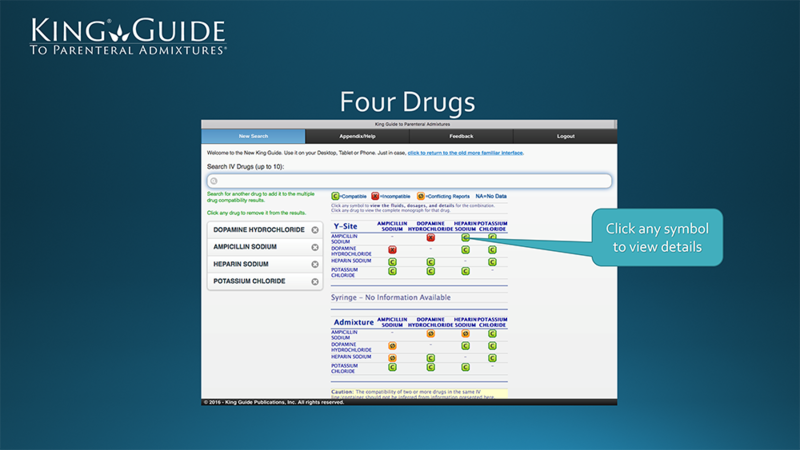 Today hospital pharmacists have access to the entire King Guide in the pharmacy, at nurses stations, on-rounds, on-call at home, on tablets and phones - all with the same user interface and no software to install or maintain. 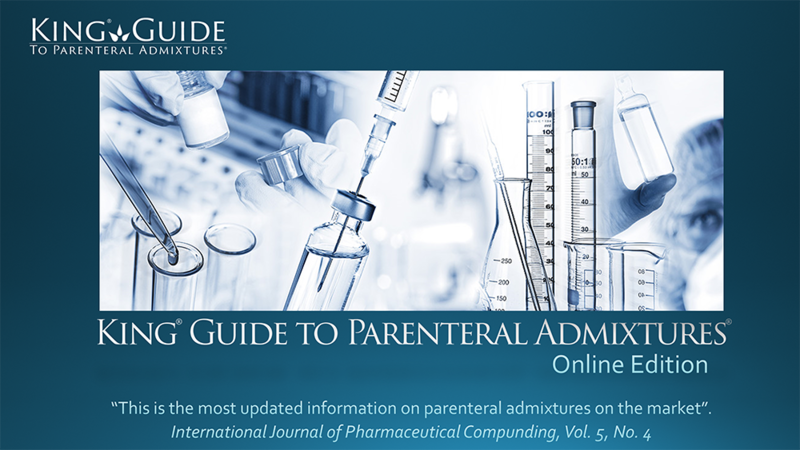 The King Guide to Parenteral Admixtures exceeds JCAHO requirements for updated references, is NABP endorsed and listed by name by many state pharmacy boards as a required reference. 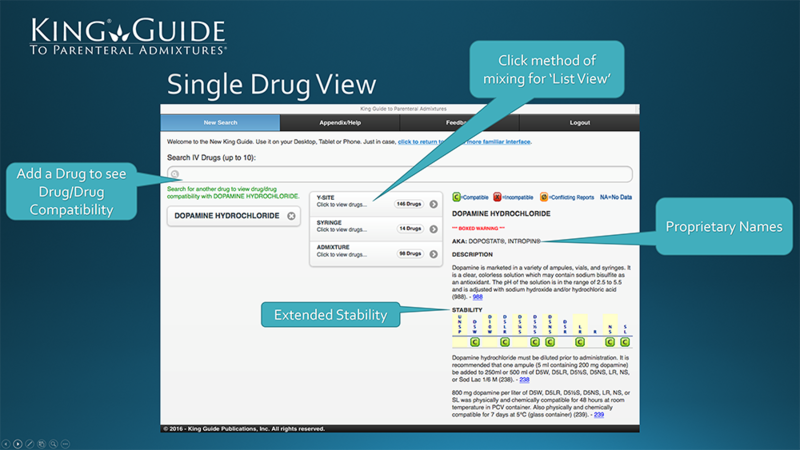 From a single drug to multiple drugs is shown in a clear easy to read format. 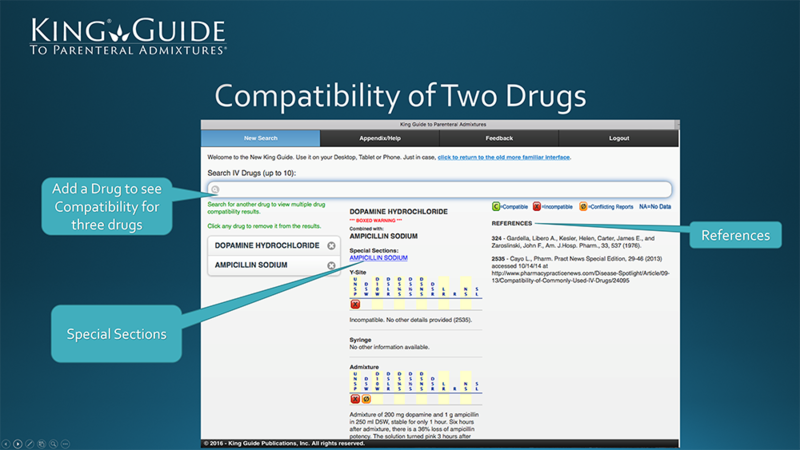 Search fields self-populate with brand and generic drug names as you type, and compatibility results are instantly generated as you build your drug list. With no software to install and no updates to apply practitioners are assured of having the latest and most up-to-date information available. For added convenience, subscribers can login with an ip address and bypass the login screen. The King Guide is available everywhere, so we designed our subscriptions to be flexible. 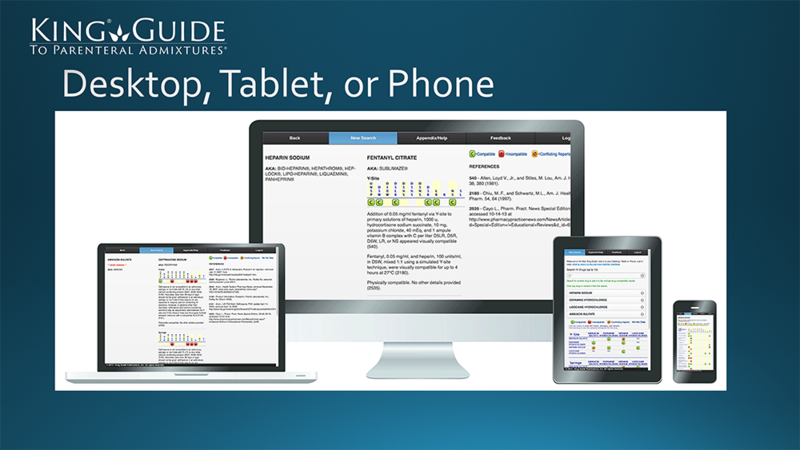 All subscriptions provide for access from any computer, tablet or phone. The single user license allows access from any computer or device from any location and limits access to one person at a time while the site license allows access from an unlimited number of computers or devices. A separate license is required for each facility location and we offer discounts for multiple licenses.